You’ve definitely heard me say you can never have too many white tops, but probably the most useful style in my closet is just a plain white tee! 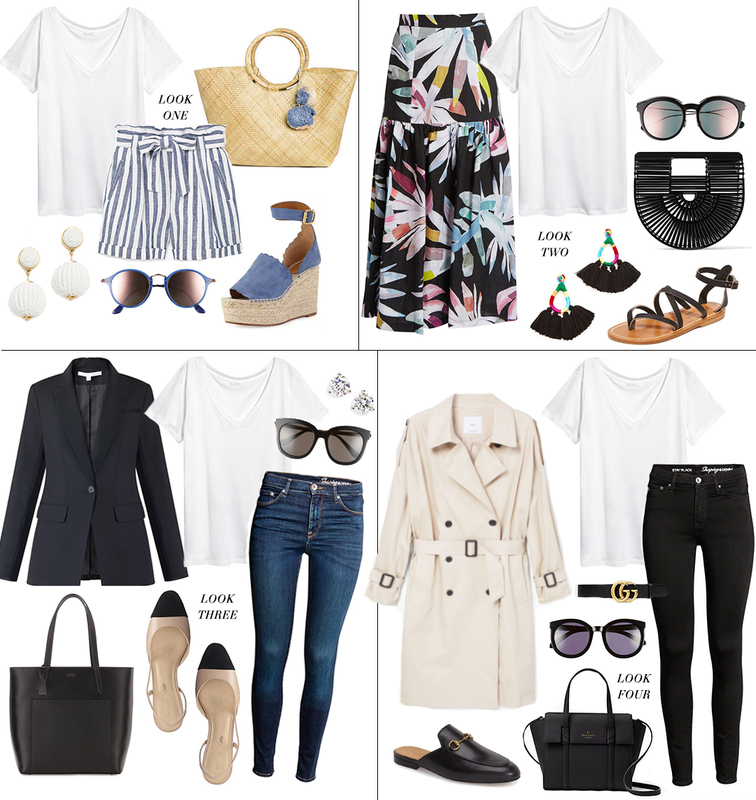 I’ve literally worn my favorite one to sleep in with pajama pants, and then the following week paired the exact same tee with nice jeans, a trench and and some chic black accessories for an effortless travel outfit. Now if that’s not versatile, I’m not sure what is! A white tee will totally take on the theme of anything you pair it with – that’s what is so great about starting with such a blank canvas like that. I personally prefer a loosely fitted v-neck style, and it’s the one I find looks best with the most things I try to style a tee with. UNIQLO is known for their easy wardrobe staples, so check out this simple v-neck style for just under $10! If you don’t mind spending a little more, Rag & Bone’s tees are soooo comfy! Love the loose fit of this style. Here’s another tee with an even more relaxed fit than the Rag & Bone tee. So effortless! If you prefer something more fitted to wear with blazers and the like, try this Old Navy tee for only $8!